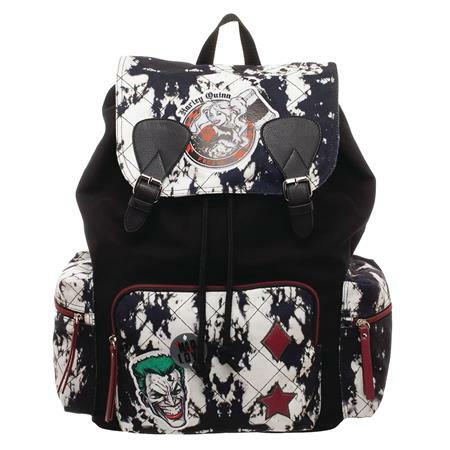 This rucksack style backpack features a Harley Quinn style and plenty of storage space for all of your necessities. Three outside zipper pouches are perfect for a cell phone or other quick-reach items. Comfort-fit straps are adjustable for the perfect wear.